With a visual design inspired by classic recording equipment, the Snowball's stylish, retro aesthetic will complement any computer system. 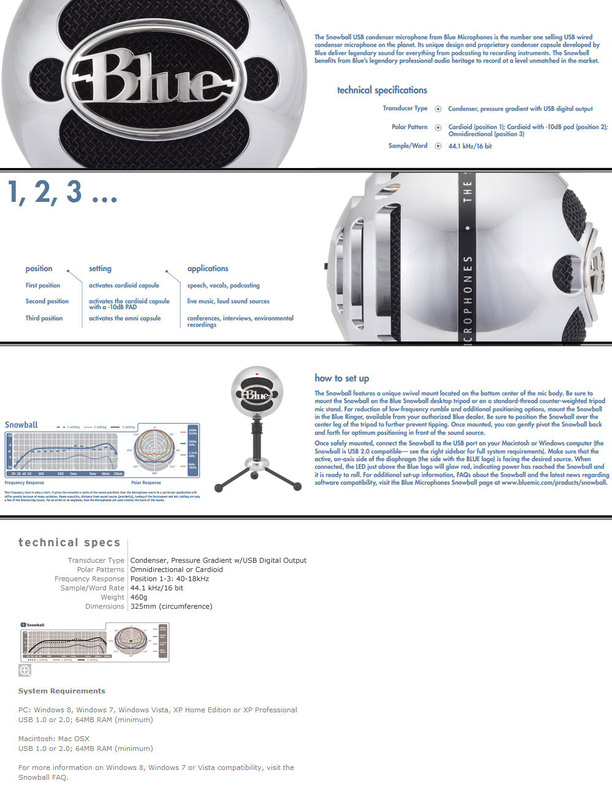 Its metal grille and black frame recall the look of old-timey microphones. 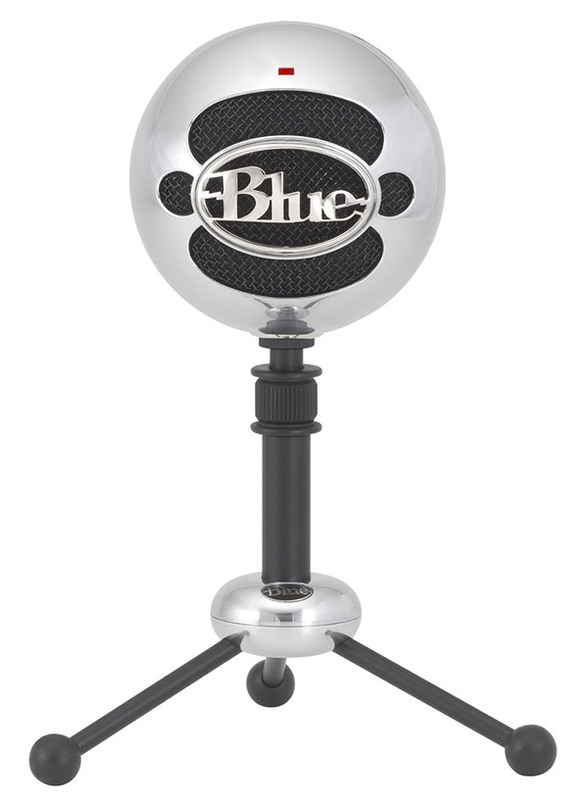 The Snowball comes with an adjustable tripod that lets you position the microphone in relation to the sound source, improving sound quality. It also features an LED indicator, which glows red when the microphone is powered. 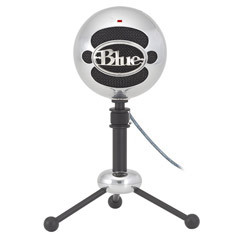 A stand and USB cable are included, so all you need to start recording is Blue's Snowball and your computer.